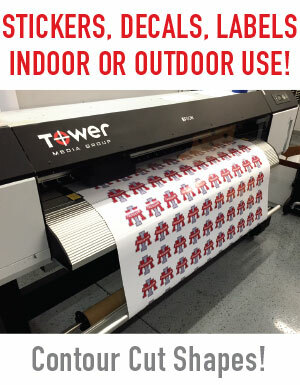 While some forms of print media have dwindled, sticker and decal printing is on the rise. It seems like everywhere you look there is a sticker of some kind. Vehicle windows, store front windows, on retail products and packages… literally everywhere! Labels on a roll for smaller label and sticker projects. Available for indoor or outdoor use. 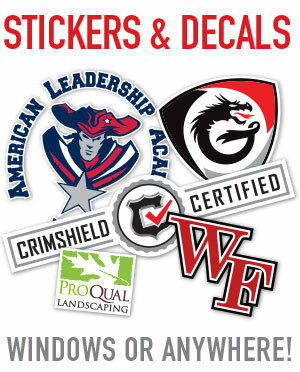 Cut vinyl decals for any application, very popular for vehicle window decals or even full graphic signs on your vehicles. Also popular for home decor lettering. Print and contour-cut vinyl decals are perfect for designs that require a custom shape cut around the artwork.